If you were wondering where Saif Clothing got to, their website was down for several months, and they've now relaunched as Saif Modesty. Check out their satin bonnet caps, which are just the trick for Turkish style hijabs. Aab are currently having a sale with up to 35% off on selected abayas, including their Occasions range. The Hijab Shop have just added some limited edition Afifah tunic tops and Silk Route jilbabs to their clothing range. If you're thinking of buying an Eid outfit from Shukr, then order by September 24th to ensure you get it in time. I'm loving their pink Anjum Top. Amirah Fashions have added new abayas to their range like the Butterfly and Hooded abayas. They're also giving away a free hijab pin with each hijab purchased as a special Eid offer. Al Jilbab have added an extensive range of beautiful new Egyptian jalabiyas just in time for Eid. Imaan Collections have added new pieces to their exclusive range. The Ivory Angel has to be my favourite. They're also now offering next day delivery within the UK. Pinz Pinz Pinz are selling ready-made Ramadan and Eid gift packs from family to budget size. Hijab Planet are giving 20% off all their Armine and Karaca Turkish hijabs in their Ramadan sale. What I really like are the outfits in the graphic at the top. Some are really lovely and all are quite wearable. If you ever have the time, could you try putting something like those together for us? Assalamualaikum... wonderful blog, a whole lot of resources for us to know where to go what to get... truly useful mashallah... Im going to pin you into my blog for easy reference.. hope you dont mind. Simply nice... I like the easy repository that you have done here...thanks you. 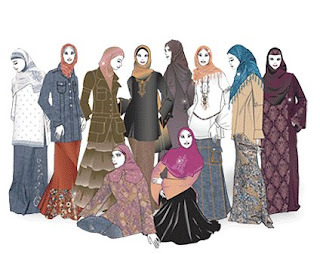 just wanted to write a quick note and thank you for the work you are doing researching all the sites etc to keep your muslim sisters updated on the shopping scene. It is absolutely beatiful, love your blog and admire how unselfish and sweet you are. Thank you for helping a busy mom who loves to shop and looooooooves clothes, keep up to date and thank you for all the lovely ideas. Anon, they're lovely aren't they? If you click on the 'long skirts' label you can find lots of similar outfit ideas. Nina, no problem at all, thank you for your sweet words. I love the styles and designs of clothes that you're posting, Really a fashionable way to show the Hijab style and still preserve the modesty in it. Kudos!